They managed to get all the jumps in the video except for 2, 5, 13, and 14. Greenwood’s course is so spread out and wooded, I’m sure it would have required a few more videographers to get it all. Random question of the day – does anyone besides Ecogold make a shaped XC pad that comes in navy? And not the cotton one BoB carries, which is the one I currently have. Well done! 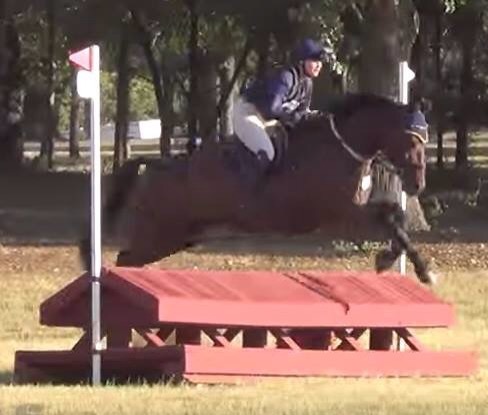 I love watching you and Henry go XC – gives me such a good picture of what it SHOULD look like! That looks lovely! Henry sure does love being a XC pony doesn’t he? I’ve just signed up for training with an eventer and am so. excited! He definitely digs the XC. And that’s exciting! I love watching videos, but I have a hard time doing it because if they’re the lease bit shaky they make me sick. I’ve always had motion sickness problems but the two concussions have made it worse. I’m pleased to say this one does not make me sick at all. 🙂 Henry looks so happy to be out XC and I love watching his little brain trying to figure things out. There were some tough questions. You both look great. As for saddle pads, the only one I’ve seen like that other than ecogold is made by success equestrian but it appears to only come in white. Haha, Henry just looks like he’s out there cantering around. Nicely done, both of you! ^ I was thinking the same thing – he makes it look so easy! I think Henry thought that was the best course ever. He eats it up! You both look like you’re having a great time! That’s the one I have is the PRI cotton pad that bit of britain sells. I wish ECP would make their pad in navy! you two look great! nicely done through those combinations – there was never a moment or question when henry didn’t look locked on! Otherwise, after scouring online a bit all I could come up with is having someone custom make what you are looking for. I don’t know who, Southern Jumper seems to be making some top notch stuff these days. Lemieux does some nice shaped pads, but they aren’t really that shaped at all. XC looks fantastic, but holy ditches! Why so many!? I had an interesting conversation (or series of conversations) with a Canadian course builder who has worked internationally on the difference between Canadian Eventing (and its courses) vs American Eventing and its courses, I wish we could have gotten more in depth, the guy is a well of knowledge, and I admittedly know the bare minimum so I didn’t have the arsenal of questions I should have had to fully take advantage of this guys years of experience. I agree, I really wish Ogilvy would make that same shape as Ecogold. I don’t like the more squared off edge of their “Eventing Profile Pad” as much. That’s a heck of a Novice course. I did Rebecca Farm this past year (my first and only recognized show…it’s in my backyard). 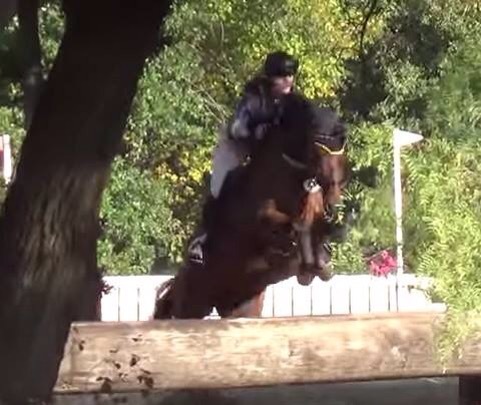 It was super intimidating because the height was maxed out throughout (and on my 14.3 Arab that looks dang big), but the fences were pretty straight forward. 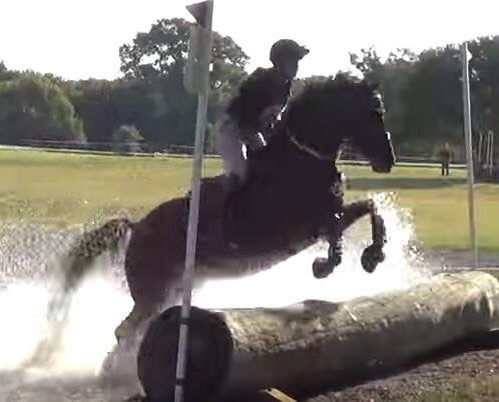 We did have jumps coming out of the water in several areas, but not jumping out of the water. And NOTHING like that skinny. Eeek! You gave him a great ride through a tough course. Congratulations!